Where did all of our leftovers go!? I’m still reeling from the amount of mashed potatoes and pie I gorged myself on during Thanksgiving dinner. 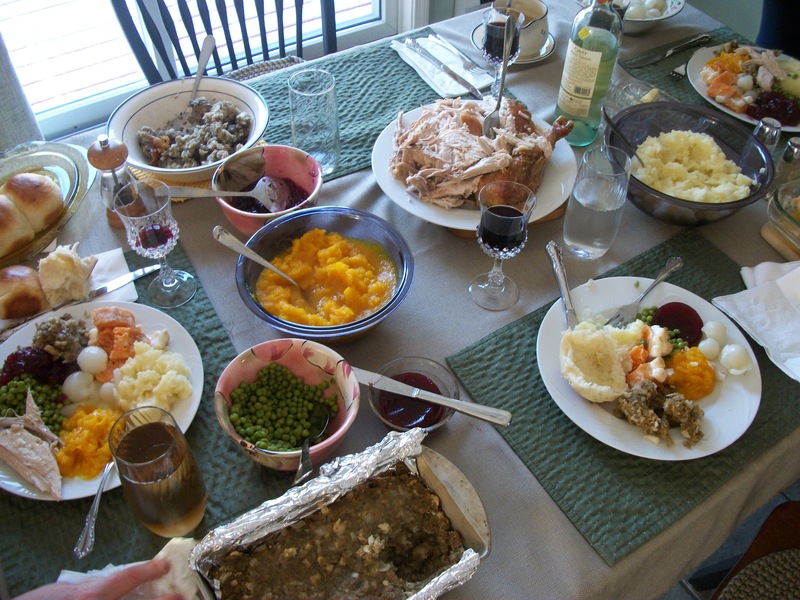 We had a very relaxed meal with just five of us: my parents, my brother, Teddy, and myself. We certainly don’t stand on ceremony for our little gatherings, so you’ll notice paper napkins and buffet-style dining in the following pictures that chronicle my holiday. 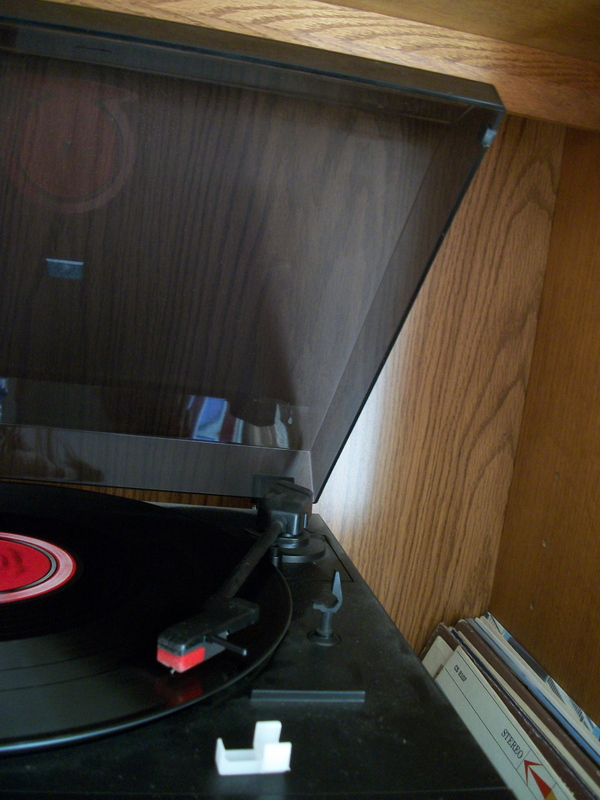 1) My parents’ overly dusty record player spinning some Tony Bennett, chosen wisely by my brother. 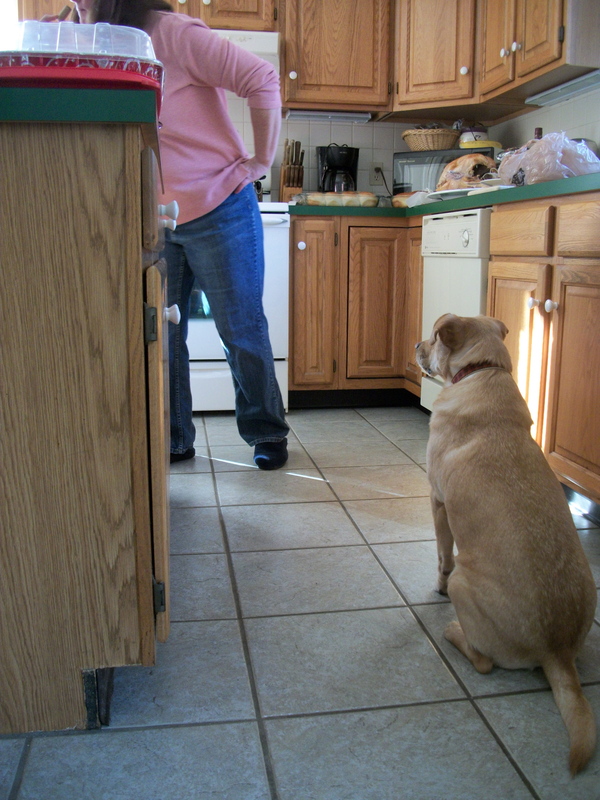 2) Teddy waiting for food to “fall” because that is a phenomenon that happens quite frequently when he’s sitting at my mother’s feet. 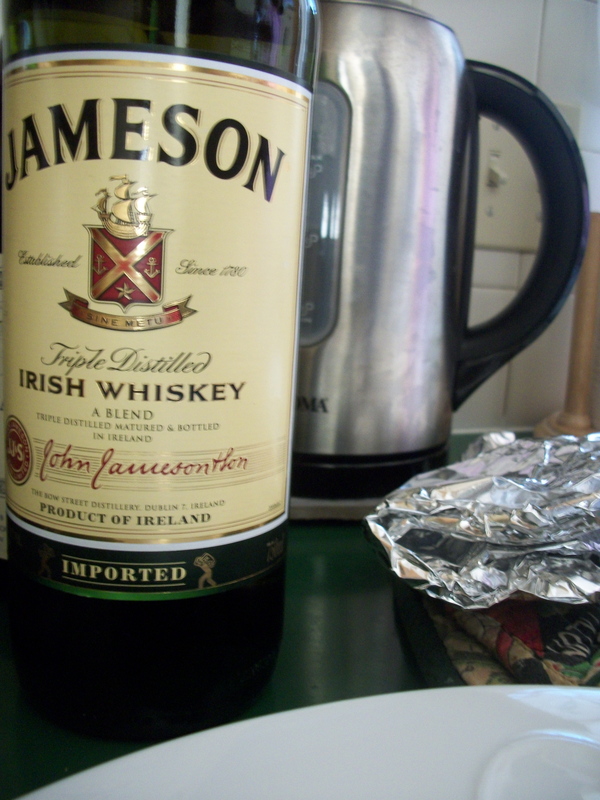 3) The Tony Bennett record was to represent our Italian heritage, the Jameson celebrated our Irish roots. 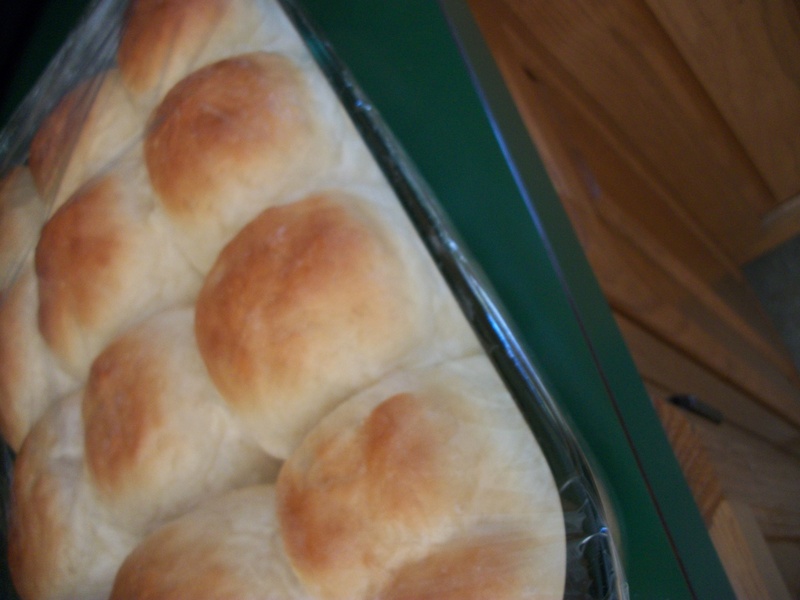 4) See these dinner rolls? They’re my new favorite way to eat butter. 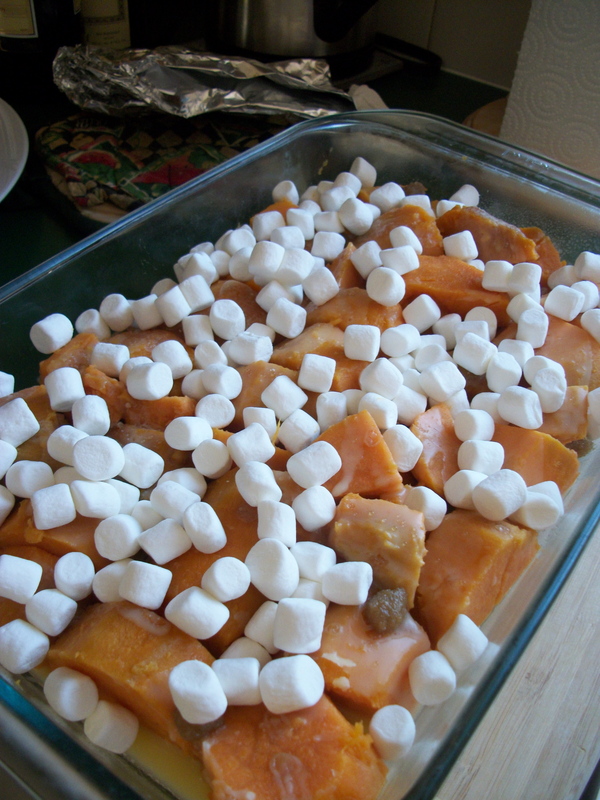 5) We made Grandma’s delicious yam recipe, knowing it could never be as good as hers. 6) Our humble table. 7) Kazilionis chow-down! I’m eternally thankful for the simple holiday celebrations that my family prefers. There were once great days when we spent Thanksgivings crammed into my Nana and Grandpa’s stuffy, dusty apartment with aunts, uncles, cousins, et al. 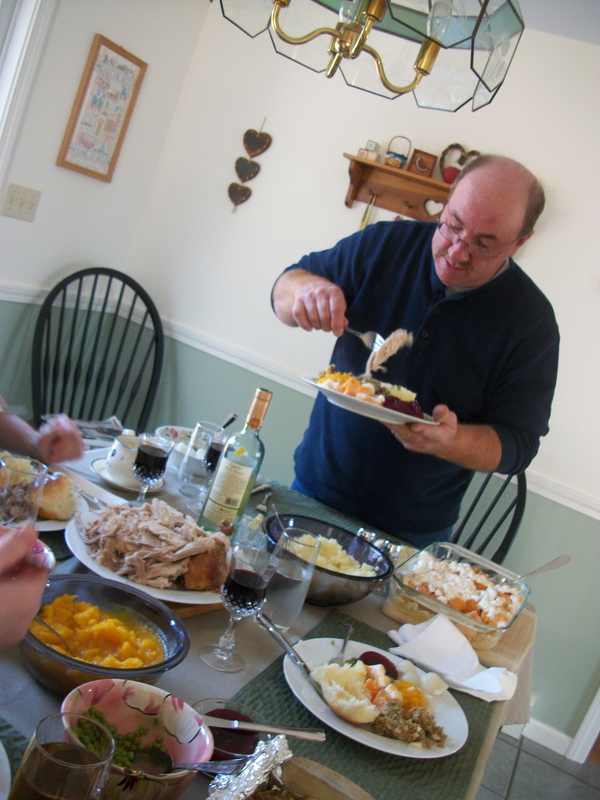 I very much miss my days of being escorted to the Nathan Clifford schoolyard by my grandpa after Thanksgiving dinner. However, seeing that I can no longer celebrate my holidays with my once-plentiful family, I’m content having small, relaxing celebrations with my parents and brother. (But boy, what I wouldn’t give to nibble on chocolate pie in my grandparents’ kitchen while my grandpa washed the dishes in his khakis and a gray sweatshirt. Those were some days).